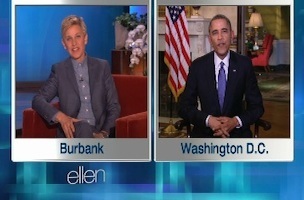 Lost Remote: Ellen Degeneres has apologized to President Obama about breaking his Twitter record. America! TVNewser: Speaking of apologizing, a Phoenix based reporter is sorry for saying two incredibly dumb things in one sentence. TVSpy: And just to keep the theme going, an Omaha news station has apologized for a tweet that compared MH370 with Lost. Solid work this week.